I heard about Scott's Maze Adventure last year but never found time to actually go but I knew this year I wanted to make time. Saturday was a cloudy, cool and slightly breezy day; another words the typical Midwest fall day so definitely a good day to check it out. 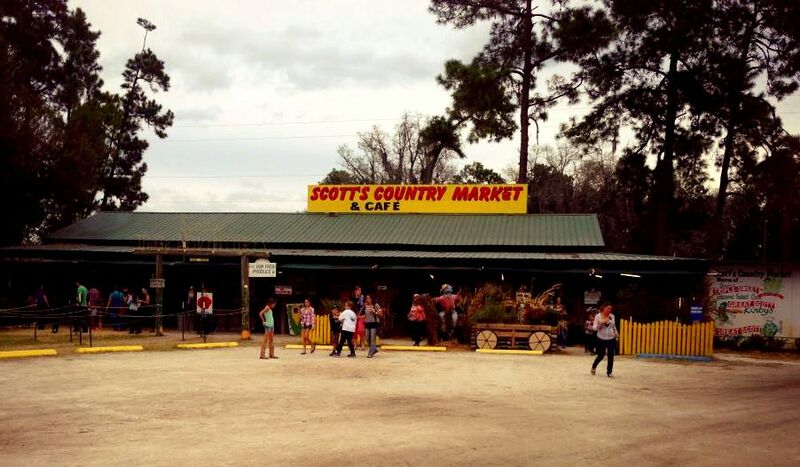 Located just outside of Orlando (in BFE Florida... no seriously, were we even still in Florida>?!?) 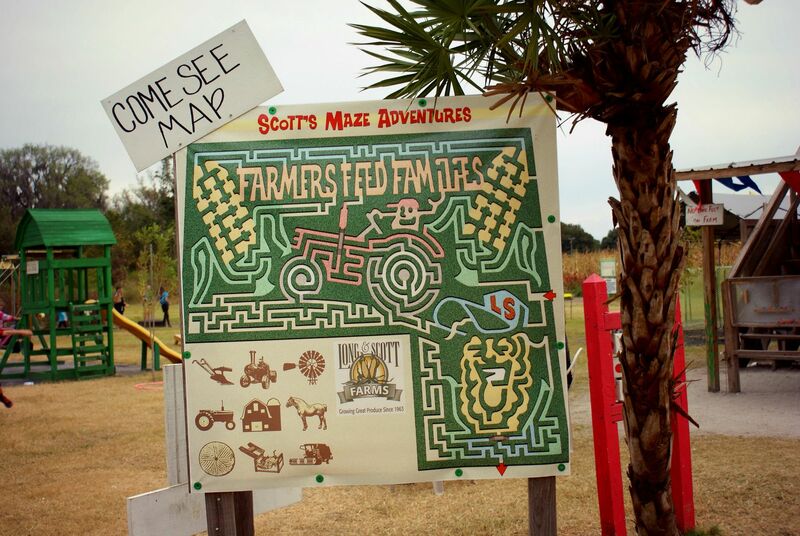 Scott's Maze Adventure has been around since 2003 and has a little something for everyone. After you watch a video giving you information about the 7 acre corn maze you're allowed to enter the "Adventure Area" which has fun little things for both kids and adults as well as food and beverages and places to sit. 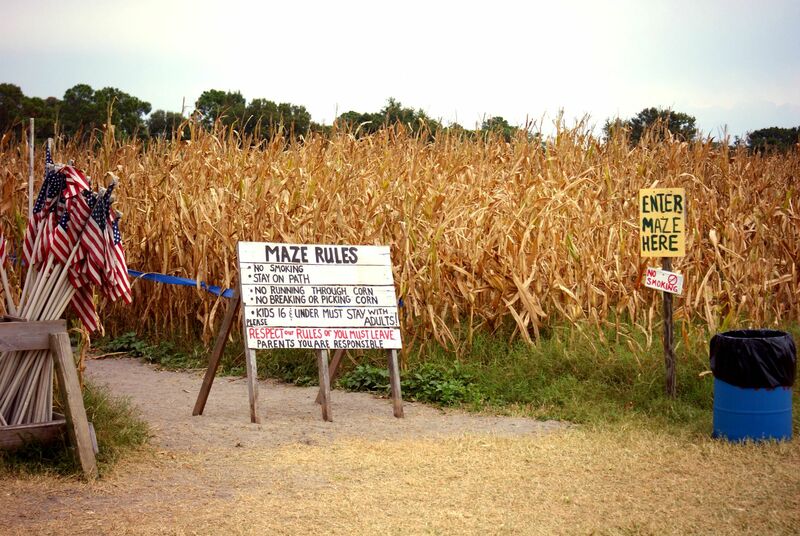 There are two different corn mazes, the main 7 acre one and a smaller kid friendly one. We immediately headed to the adult one since we've heard it's pretty difficult to find your way out and as much as I hoped we wouldn't have to be one of the parties that needed to be "rescued" I wasn't too sure we'd make it out. Upon entering the maze you grab a flag and a booklet with games to play while you're in the maze. The flag is in case you can't find your way out and need someone to come get you and apparently this has happened before! Once inside the maze there are colored ribbon markers to let you know where you are in the maze. If you're in the blue, yellow or green section you're in a section that has an exit. If you're in the white section there's no way out there and you need to find one of the other colors. Once we got a little deeper into the maze it was pretty much just us against the maze. I definitely learned we're quite the indecisive bunch! After awhile we managed to find our way out through the yellow section but then wanted to go back in because we hadn't seen the red section yet. Whomp whomp. The red section was the smaller kids maze which is why we never found the red section the first time but we were committed. We finally found our way out a second time but this time through the green section. At the end of the day I'd definitely go back and do it again. Even though Kerri did get assaulted by a creepy spider in the tree maze it was still a blast! We kept saying how fun the maze would be if you tried it at night and it looks like they're doing their first ever adults only night maze adventure in December so I definitely might be making a trip back out there for that! I have a pretty important meeting this morning so any positive vibes would be greatly appreciated! And after my meeting I'll be heading to the west coast to meet up with the lovely Amanda for a little blogger date so I'll probably be MIA today... sorry lovelies! Hope everyone has a wonderful day! I think I would have been a little scared to go to the maze at night so I'm happy all your pictures are during the day!! I've yet to go to a maze, but you make it look so fun!! Next year....Love that first photo of you two!! I am straight up in the middle of the Midwest (Kansas City, what's uppppp) and yet have never been through a corn maze, ha! They look like fun, though! Seriously jealous of the fact you're able to wear super cute shorts + ankle boots right now- a cold front has swept in from the north, and we're in the 20's this morning. Holy cold, yowza! I'm totally terrified of corn mazes but you're brave!! Sending you good vibes today!! This looks like so much fun!! I am also super jealous you can wear shorts right now!! I would get my legs frozen off over here in NC! They shouldn't make mazes so hard you have to be rescued out! Glad to see you made it out though! 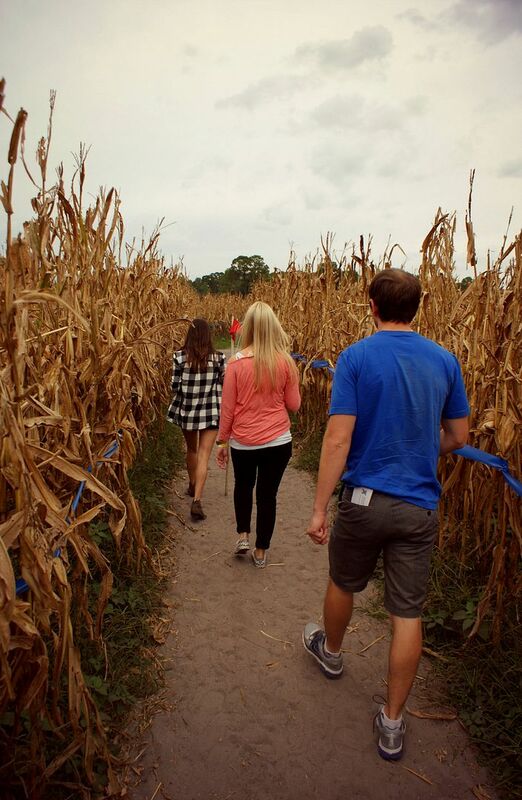 Corn maze makes me think about Children of the Corn movies I'm terrified to go to one. But these pics looks like fun. Wow, this maze is intense! I've only been to a corn maze once before (when I still lived in PA) but it's been on my fall wish list every year since...maybe next year! That is a huge corn maze!! So glad you had fun! Girl! I am crossing my fingers!! Hope your meeting goes perfectly :) Have fun on your blate! Sometimes I hate living so far from other bloggers. I'm due for some get togethers! Good luck at your meeting today and have a blast with Amanda! 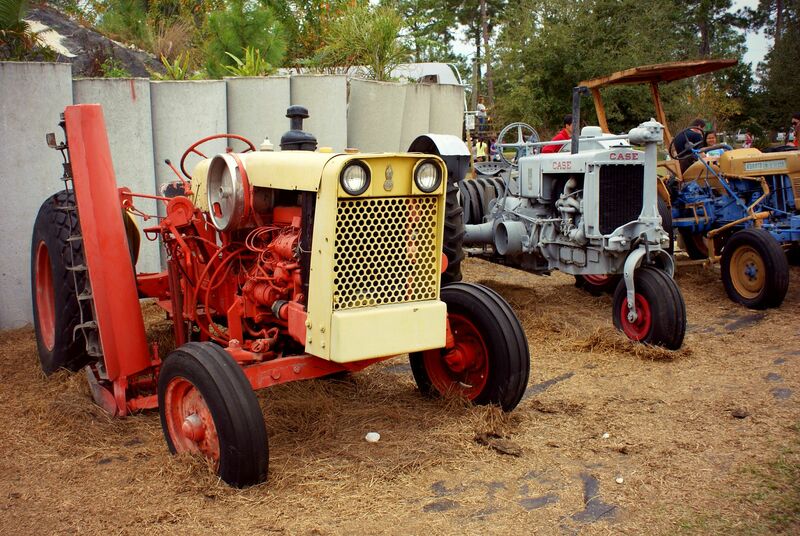 That corn maze looks like fun! And good luck in the meeting for sure -- and have so much fun on the west coast! Ahhh that looks like so much fun!!! Not sure if I would freak out or not being in that at night hahahha! Good luck with your meetings!! I've never done a corn maze, but it always looks like such fun! You totally should do the nighttime one - I bet it's super fun. Good luck at your meeting this morning, and have fun with Amanda! This looks like so much fun! I've never done a corn maze and coming from the Midwest I'm not quite sure how I missed out on that. I definitely need to find one in AZ...such a perfect fall activity. I was kinda secretly hoping and had to read that a few times that you important meeting was here in Tampa.....purely for selfish reasons ;-) Sending you so much love girl and I'll let you know when we are on our way back! I love these!! So much fun- Seth and I did one a couple years back and for a split second I thought we weren't going to get out before the place closed! haha Great pictures! 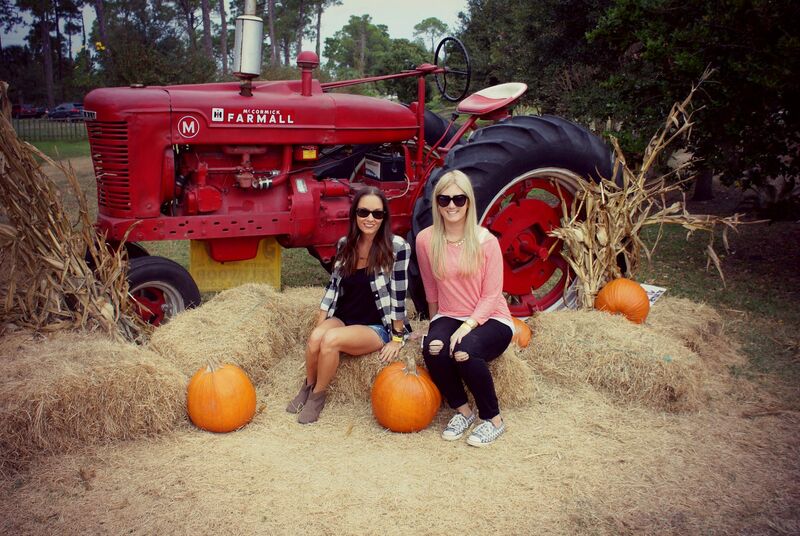 What a fun afternoon, I love corn mazes! So glad you found a bit of fall in Florida!! Corn mazes are the best! Looks like you had a great time! getting lost in a maze kinda sounds horrible and terrifying haha! So cute - I've actually NEVER done a corn maze.. there's always next year, right? This looks so fun (so long as too many mimosas are not consumed first hah)! This looks awesome! How long did it take you guys to get out? This looks like so much fun! I grew up on a farm (an hour from Cincy actually) next to cornfields, but I've never actually been in a corn maze. 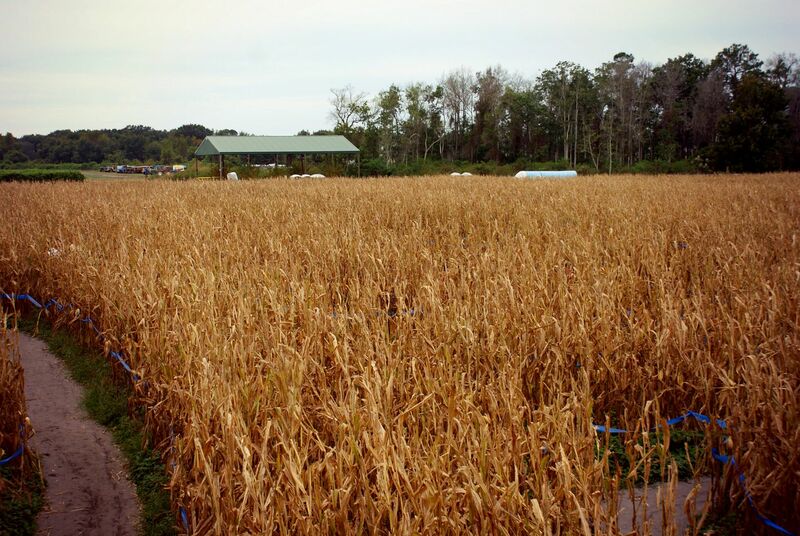 The corn maze looks so fun!! haha and heckkkkkk no i dont do spiders. This looks so fun! I think a part of me would be so scared the whole time even in the daytime.